Recently Amy Schumer posted the above picture on instagram which caused for quite the internet rage and I'm glad it got so much attention that I decided to share it on my instagram and facebook. Since I was young I've been a lover of magazines. Yes, also the magazines that are pretty much the same as Girls' Life above. But I never picked up a boys' magazine before or compared the two of them. See here above, the obvious statement that the magazines (both September 2016) are making. 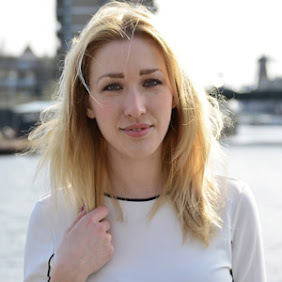 Girls: dream hair, wake up pretty, fall fashion, drama and my first kiss. 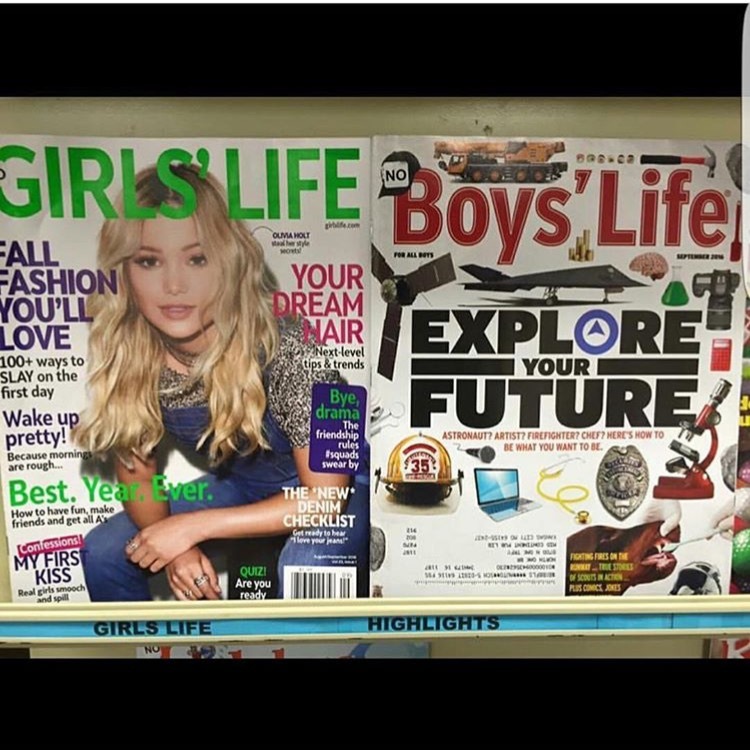 Boys: explore your future. With all kinds of potential professions pictured. While there is nothing wrong with liking fashion, girls should also be encouraged to explore their future and not only worry about their first kiss. Now of course I don't know how the other issues of Girls' Life look like, I think I have an idea thinking back to the magazines I used to read when I was young. 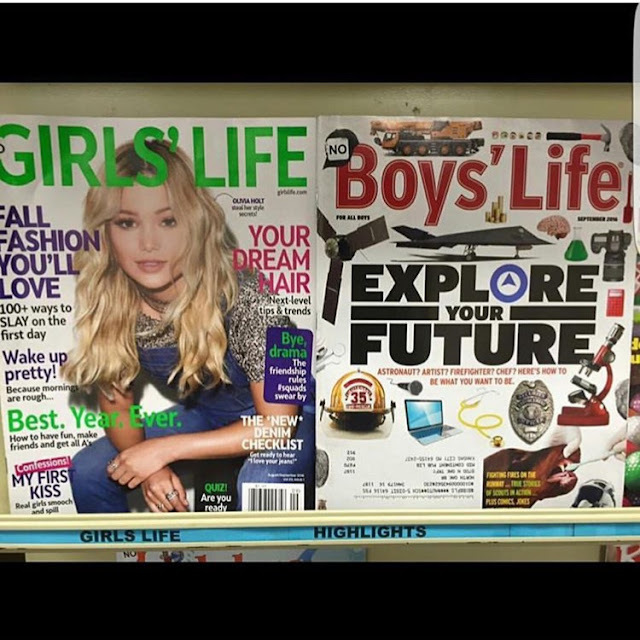 Wish Girl's Life and other t(w)een magazines alike would publish a career magazine like the one on the right. And then please, not only prima ballerinas, but with the same hammer, telescope and police badge. Hope more people will think about this topic and maybe share it on their social media as well!